A lot of awesome things have had anniversaries here lately – Tetris and Ghostbusters are 30 years old. The Simpsons just had their 25th anniversary. The first PlayStation just turned 20 years old. This month’s theme for Loot Crate – Anniversary – celebrates these things and more. This month’s crate is probably my new favorite for many reasons. 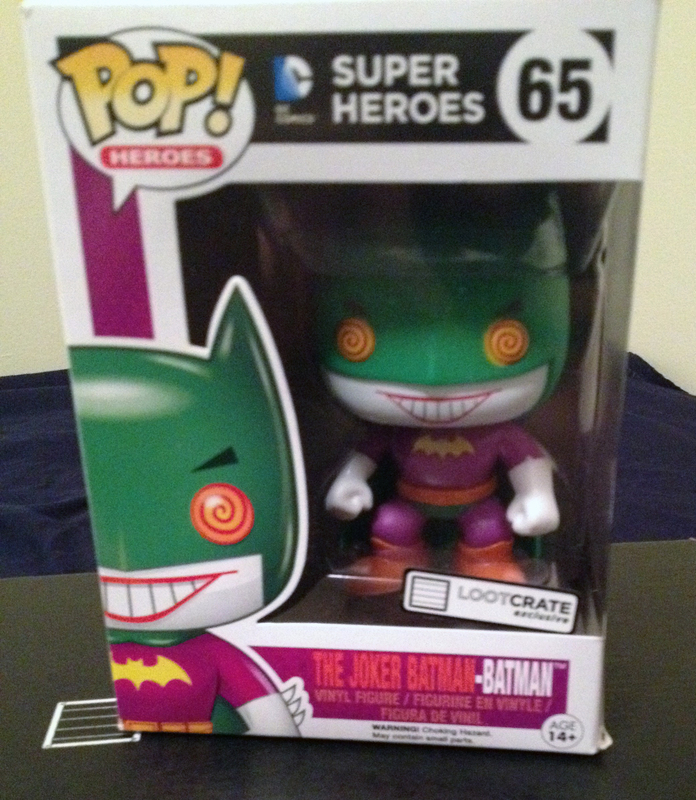 First off, it comes with a Loot Crate Exclusive POP! Vinyl toy. It’s the Joker-Batman! Is this Batman cosplaying as Joker, or the other way around? 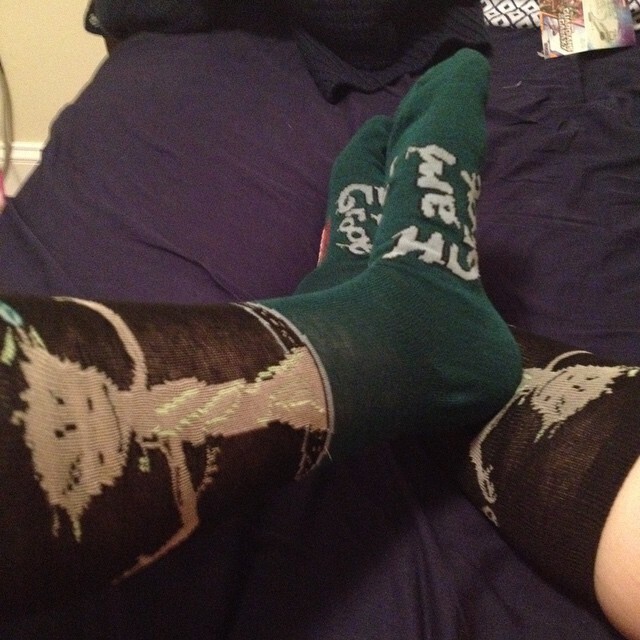 Next up is my second favorite item – Groot socks! I am always happy to get socks and this is exactly what I asked Santa for Christmas. Yes, I am a boring adult. Anyway, these will go great with my Deadpool socks from a couple months ago. The rest of the awesome items are Batman #36 with an exclusive variant cover – which I love because it means less comics I have to buy. There is also a Captain America car air freshener, which is always needed. For the anniversaries, there was a Ghostbusters door hanger, Tetris stickers, and Simpsons wallet. I’m also very pleased about the free one month trial of Crunchyroll. If you didn’t already know this, Loot Crate is a monthly subscription box filled with all kinds of nerdy goodies. Expect a lot of t-shirts and POP! Vinyl toys. Actually, expect to build a whole wardrobe in a year. All subscribers are entered into a monthly drawing for a Mega Crate which can have up to thousands of dollars of merch in it. 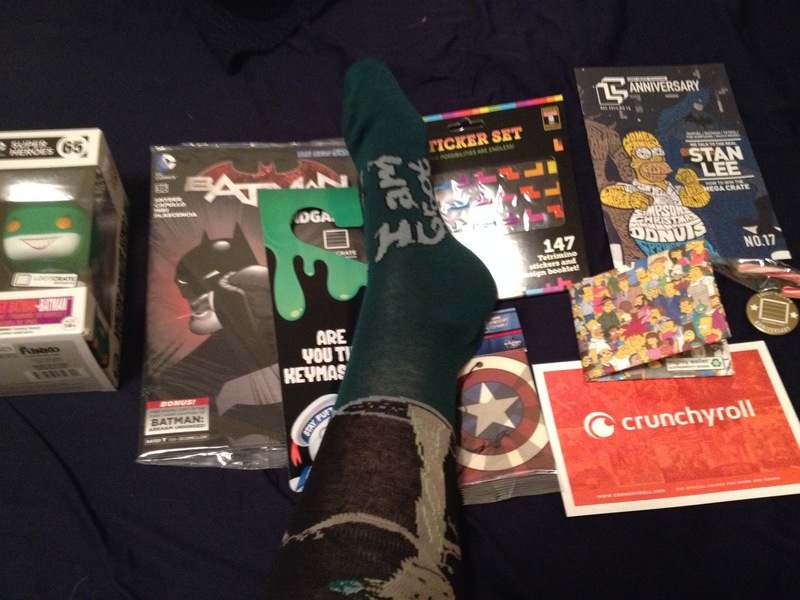 The subscription costs $20 a month and is by far the best nerdy subscription box I’ve seen so far. Interested in signing up or learning more? Just click here! Next Next post: New Years Nerdolutions for 2015 – Because Why Not?